Who are you? What does your eye reveal? The beauty and depth of the Rayid work will astound you! The iris is a unique blueprint to your soul. Unlock the secrets to your spiritual evolution. WHAT IRIS TYPE ARE YOU? The iris has a vast amount of information that reveals your true nature & the lessons and gifts you have received from previous generations. 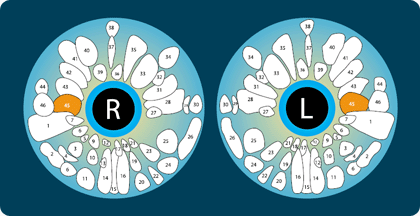 There are four main constitutional iris structures: ‘Shaker’, ‘Flower’, ‘Jewels’ or ‘Streams’. Each describes personality and behavior. Attract Stream types for long-term relationships. Combination types are more common than single types, so you may be described as a ‘Shaker Jewel’ or a ‘Stream Flower’. 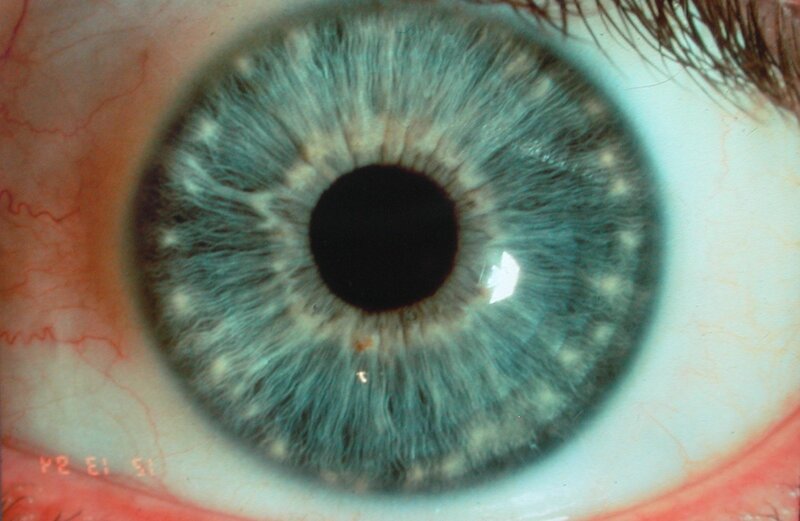 Personality is also modified by the presence of one or more iris ‘rings’. Rings of Freedom are driven to pierce and break up imbalances in the world. Rings of Purpose have a sense of specialness; these people feel they have a mission to fulfil in life. Rings of Harmony these people tend to have high ideals about social and environmental issues. Rings of Determination usually appear in mature adults; they tend to act with a decisive certainty. The particular arrangement of ‘Jewels’ or ‘Flowers’ and the exact positions within your iris not only uncover personality traits but may also reveal family issues. The positions chart below illustrates a little of the complexity of what your iris reflects about your personality. For example, position 45 (the Yin of the Heart) shows inadequate expression of love between your parents or to you leading to idealism in relationships, wandering heart, commitment phobia. Learn how to transform this into a gift for beautiful lasting relationships, joy, expression of love and laughter. Unlike other esoteric readings, Rayid is a healing art that deeply and accurately identifies you as an individual. And what’s more, Rayid provides you with powerful tools for physical and emotional self-healing, to nurture your soul and its destiny. You will discover the genetic origins of any illness or significant life event, learn how to heal it and bring light and love to yourself, your children and future generations. By understanding the patterns in your iris, the influence of your birth order position, and the ever presence of ancestors, you are able to grow and evolve in remarkable ways. You have the power to make a significant difference in your life, family and, ultimately, in the world. By applying the Rayid Model, you awaken new potentials and possibilities in your life. 1. Identify your unique blueprint to your soul. Experience a Rayid consultation today – it will change your life! 2. Get your biochemistry right with a naturopathic treatment. 3. You can make it happen with powerful tools to heal and evolve. How does Rayid differ from the physical view of the iris? Iridology is the study of the iris, or coloured part, of the eye and is used as a diagnostic tool by trained health care professionals. 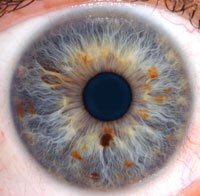 Through various marks, signs and discolouration in the iris, nature reveals inherited weaknesses and strengths, personality characteristics, patterns, behavioural traits, attitudes, challenges and gifts which are likely to accompany you in life. Iridology began in about 1861 when at 11 years of age Dr. Ignatz von Peczely noticed an owl in a tree in his backyard. After trying to catch the owl, he accidentally broke one of the owl’s legs. He then noticed a dark stripe develop in the lower part of the owl’s iris. Dr. von Peczely dressed the owl’s leg and nursed it back to health and let it go. However, the owl stayed around and later he noticed the appearance of white and crooked lines in the part of the iris where the dark stripe had been. He later remembered the encounter with the owl in his medical practice and thus modern iridology was born. For the most part iridology has been used as a road map to the body showing where each gland and organ is and the constitutional health associated with each part of the body. 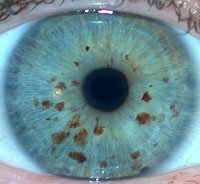 Rayid Iris was born totally independently of traditional iridology. 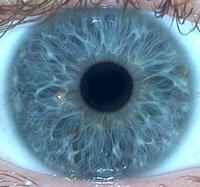 If you have had iridology done in the past you may find that exciting new developments have radically changed the way we view the iris. This has largely been due to the integration of Rayid Iridology, with many practitioners using Rayid alone. The Rayid model recognises that throughout the ages, the eyes have been known as the windows to the soul. Modern behavioural research is proving this adage to be true. By using the iris we can determine what personality traits and creative abilities an individual has acquired, what gifts they possess and what lessons they have to learn. We can also observe the specific support that person needs in order to achieve his or her maximum potential. Silence / Purity / Spiritual Oneness. These subtle yet powerful therapies are used to bring health and happiness to the individual and are literally changing lives. Your are given a range of tools for increasing these vibrations including meditation, ritual, prayer, intimacy, breath and creative visualisations. With traditional iridology signs that may indicate toxicity or weakness of the liver are interpreted as anger or resentment issues and gifts of passion and grace with Rayid Iris. In Traditional Chinese Medicine the connections between these emotions and liver function go back thousands of years. There is also a long held understanding in the West reflected with terms such as ‘liverish’ or ‘s**t on the liver’. In Rayid terms these signs are seen as offering a gift of great passion and tools are given to assist with releasing negativity and accessing the positive gifts. This release and increase in positive expression will have lasting health benefits affecting different glands, organs and body systems in this case the liver and gall bladder. Traditional iridology calls concentric lines in the iris ‘nerve rings’ indicating that the individual may be prone to stress. In Rayid terms this sign is know as ‘The Ring of Freedom’ (Originally named ‘The Ring of Accomplishment’), These individuals are goal oriented and often experience a feeling of being ‘driven’: as if they must be doing more. This intense energy needs to be released or transformed by expression. The greater the number of rings, generally, the more intense the feeling of restlessness in the individual. There is usually some experience of shame, ridicule, separation and or friction between women on the mother’s side of the family that has been passed down through the DNA – this is what drives the person to achieve. It is a feeling of; if I do not achieve I will not receive love. Tools are given to increase the positive integration of gracefully receiving love and assist in finding a place of constant non judgement of themselves and others. This releases the fear driving the ring of freedom and ultimately evolves the individual making the world a more beautiful place. The iris also gives us insights into our relationship patterns. This can really enhance the depth, understanding and love in our relationships. The most common relationship magnetism is complementary or ‘opposites attract’ and these offer the strongest bonding opportunities. Complementary relationships are formed between people with opposite eye structures – a mentally focused type with and emotional type, an extremist with a stable type an introvert with an extrovert etc. This awareness helps us to grow and learn from our partners as we move to achieve wholeness. This helps us to be conscious of each others true nature, realise the strengths and purpose of being together and helps to turn conflict into co-operation. Also you will find some fascinating insights from Denny on how the symbolic images contained in these stories bring healing and spiritual evolution and are making the world a much more beautiful place.